We manufacture pulsation dampeners and resonators for use in high-pressure pumps. These pumps are used, for example, in the chemical or offshore sector. They are available in any size and volume. The manufacture of resonators requires the highest level of professionalism, as they constantly have to withstand very high loads. 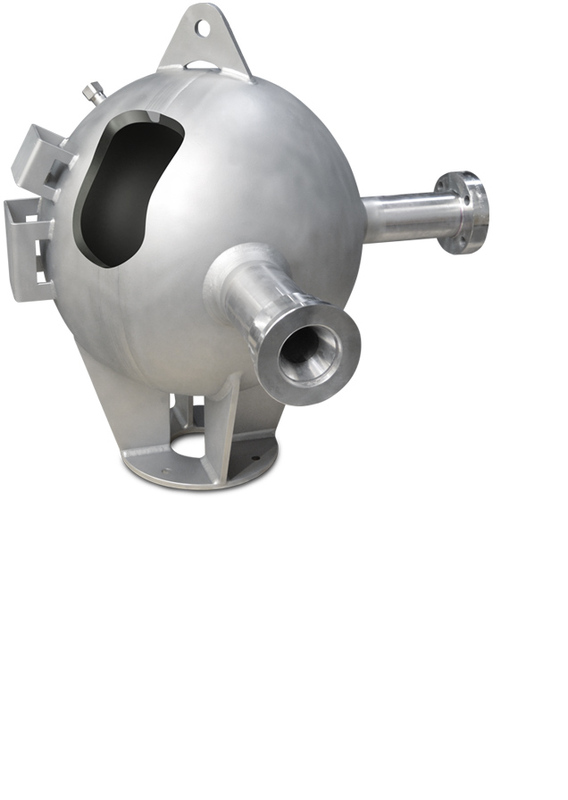 The pictured ball resonator is intended for use in high-pressure pumps. The weld around the two halves of the ball has a total length of three and a half football pitches and is absolutely flawless at every point. The resonator has to withstand a pressure of 650 bar, which it does without any problem. This pressure corresponds to a water depth of 6375m.